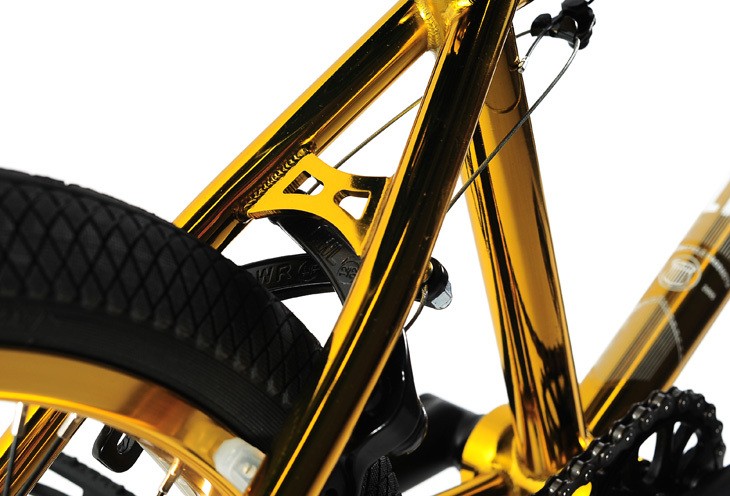 Are you chasing one of our limited edition 2014 Endeavour complete bikes in the ever popular ED Gold? 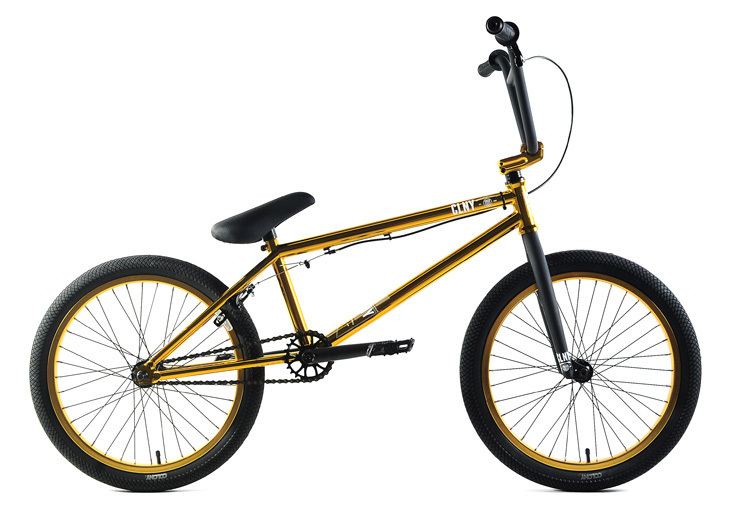 They would be very hard to find now but the guys at Lux BMX have a couple left… hit them up now !! Simon sent through another great shot that Jason Halayko took. Simon is about to head home from a 3 month trip in Japan. From the sounds of it he has been riding more then ever! Hey guys, last week Cooper came out and filmed a lot for my next Colony edit !! Had a really good time catching up with Cooper and stoked with the clips I got. unfortunately I sprained my wrist when we were filming so I haven’t been able to ride this week!! Lucky I have a nice little Cafe to work at and save $ for when my wrist is better to ride again!!!! Last week Ricky posted up this mixtape that is 15 minutes long. Although it’s not filmed the best, some of the moves Ricky does in it are pretty damn amazing! 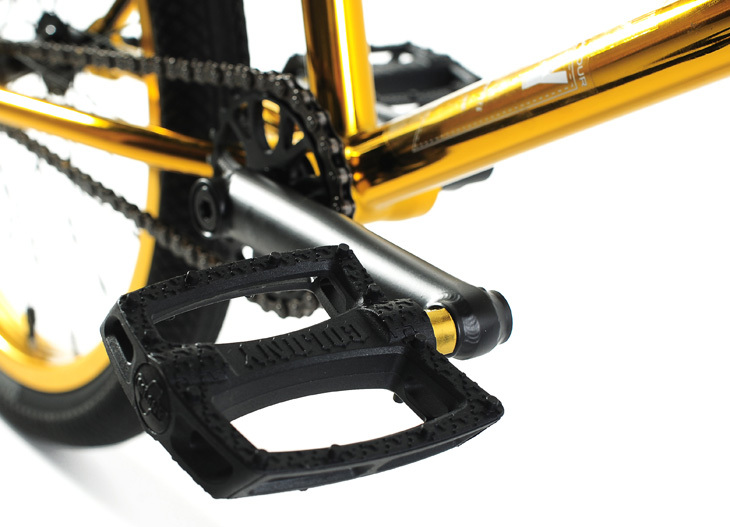 Little video highlight of the Squareback stem. The top load is available everywhere right now, hit here for more info. Thanks to B0NNAZ for the beat. We are getting behind this years NY Grands in New York. Head down this Sunday the 29th and get involved, no doubt it will be an amazing event. It’s been a while since I have ran chrome rims but I am so stoked to be doing so again. For me with front & back brakes, it makes the whole braking experience so much better. Plus it gives my Prody frame that little bit of mid school feel. 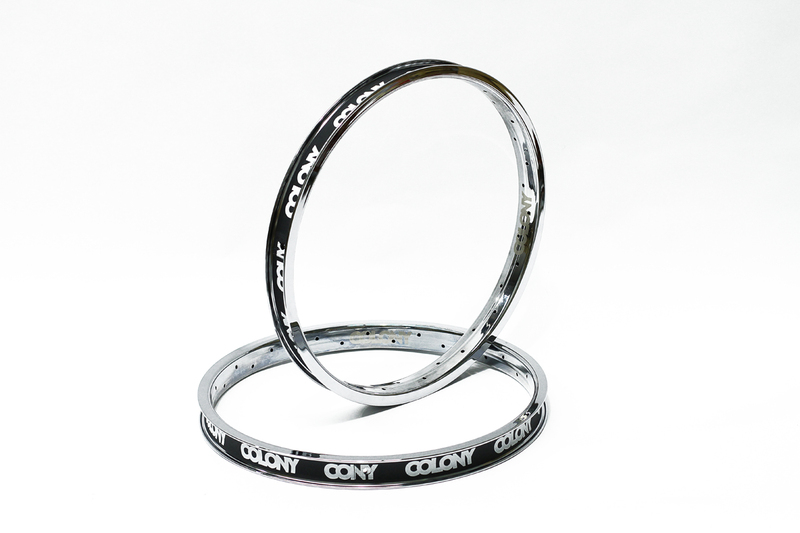 You can now grab our Contour Rims in chrome plate at all good Colony dealers worldwide. The Rampfest Open is on this Saturday & as with 99% of events here in Australia, we have supported it with prizes. In fact some one will win themselves one of Ryan Guettler’s 2014 The Living frames in Army Green plus much more. 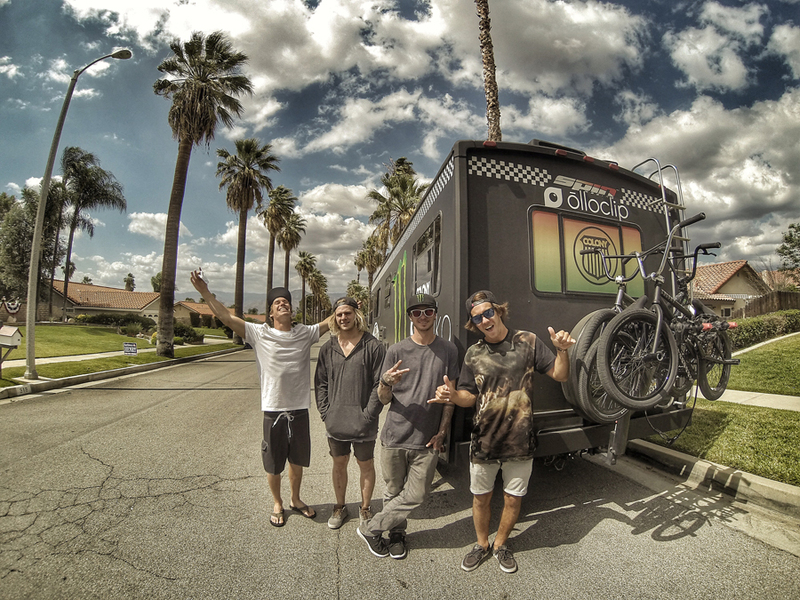 Look out for Dean Anderson & Luke Parker from our team there shredding. 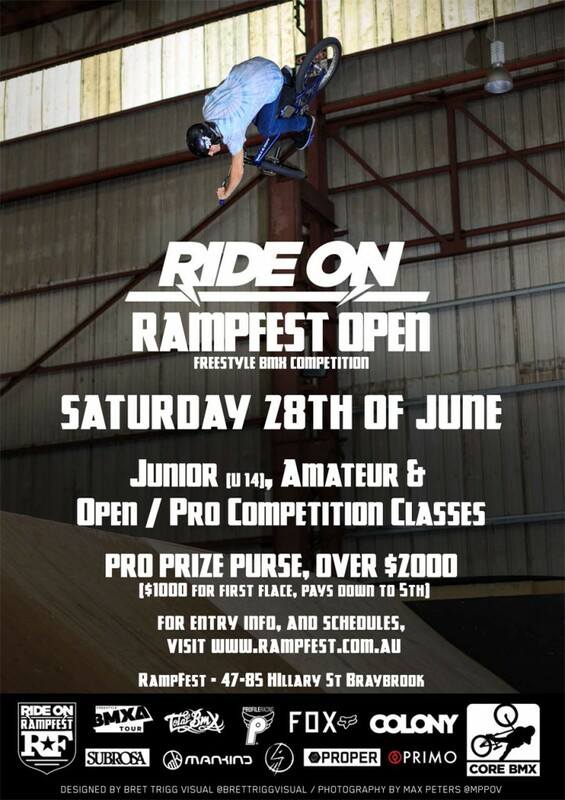 Will be a good time no doubt so get yourself along to watch some solid riding go down on the infamous Rampfest set up. Thanks to Matt Cordova for helping out on this project. Recently I have been working quite a bit. Along with being sick for a week or so it has made it quite difficult to ride my bike. I’m still so pumped on how my bike feels everytime I jump on it lately. I built a new Miner frame up and it’s just amazing. 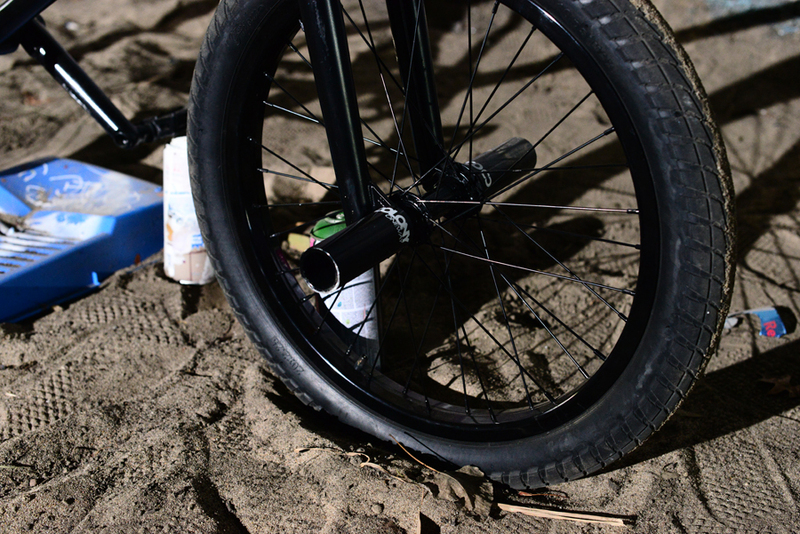 Also stoked on my wheels that I think will be out later in the year so keep an eye out for those. Hope all is well guys, here’s a shot from Railside park I’m hyped on. I rarely get to ride this place since I live far away now but it’s always a treat. Basically every day I get, I’m out trying to snag photos and film when the weather permits. Overall stoked right now! Photo shot by Shawn Duffield. 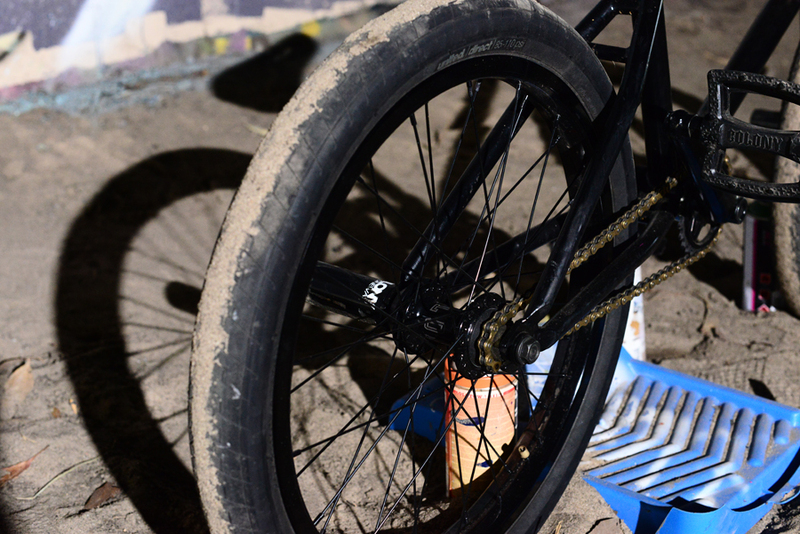 Larry ‘s shop Stacked BMX over in Riverside, CA is putting on monthly night rides and Vital was on hand to capture the first evening. 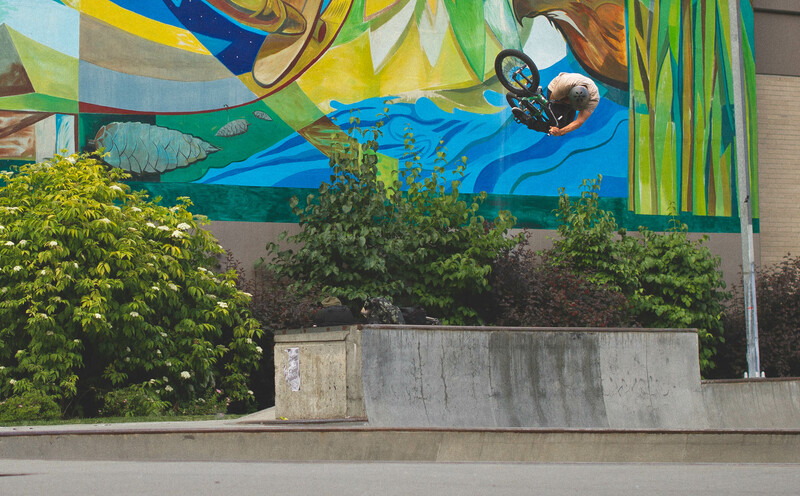 Jourdan and Larry along with all the locals throw down some good lines throughout. Stacked stock all our product so hit them up if you are ever in the Riverside area. 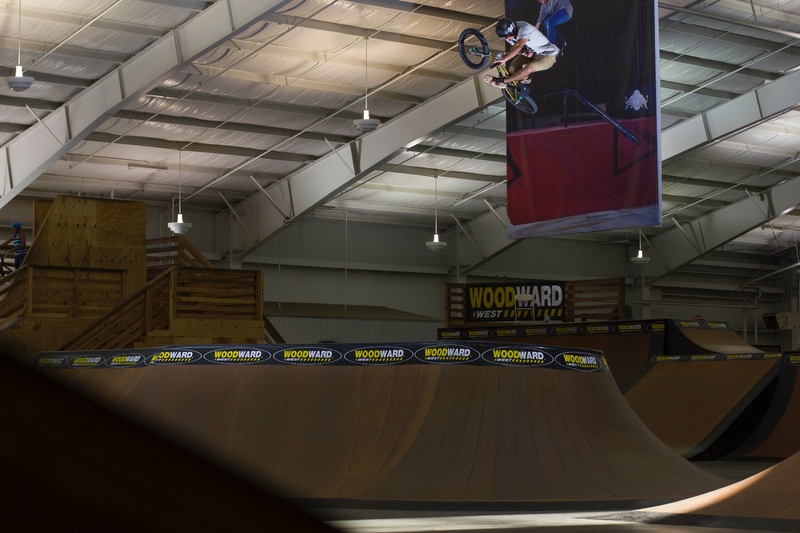 I’m writing a update from Woodward camp and it makes think how crazy that is to say. As a kid I grew up dreaming of Woodward camp I had all the posters on my walls, All the riders I looked up to I ripped out of magazines and tacked them to the wall. And one day I was riding Beenleigh and Colin Mackay was there filming, Colin lived on the other side of Brisbane so it was a treat to see him because he would always go highest over Beenleigh hip.. Before he left he handed out stickers to all the kids like how I thought pros would, he gave me a Woodward sticker and joked you should go there one day. I didn’t know what to do with it, it was too special to put on my helmet or bike because I might never get one again. I framed it with a photo of lot 8 and a photo of the dirt jumps from BMXPLUS. Crazy to think him giving me that sticker has motivated me this much. I’ve been to Woodward over 40 different times now and have the best times here !!! Thanks Col I owe you!!! 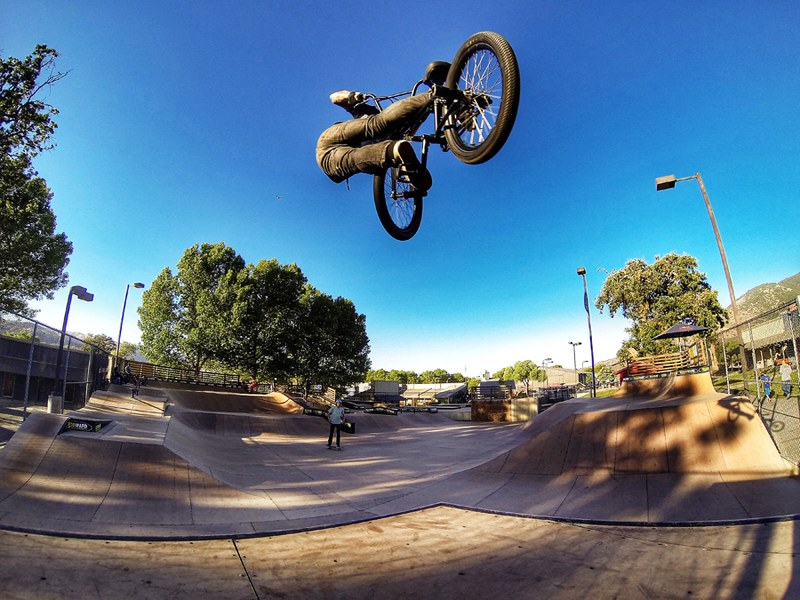 I’m here all week and some of next week getting some new tricks dialed before I go to Barcelona next week for an event. Here’s some photos of the good times. 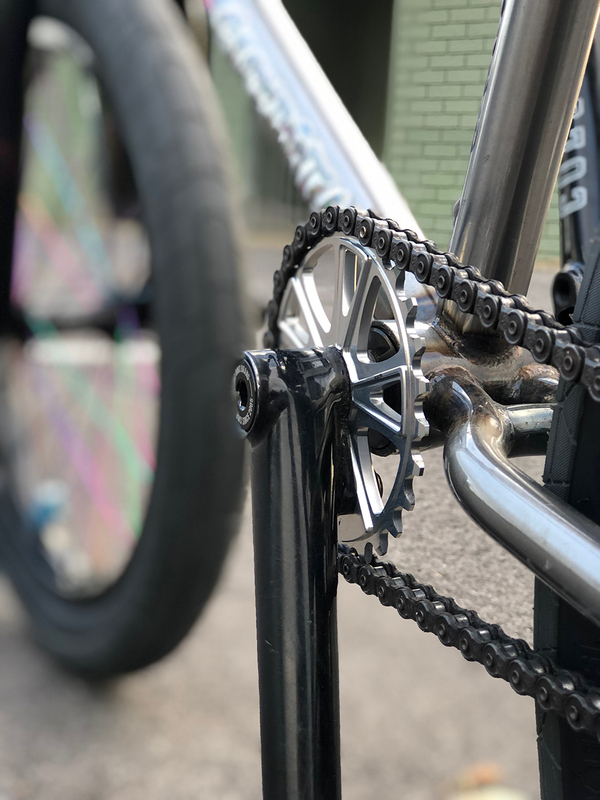 Shane Badman organised this interesting interview with Ross D Lavender about his Prody Frame build & some back ground on the original frames & the history around them. 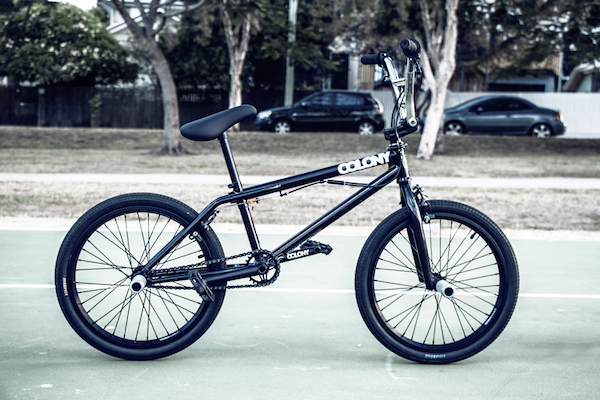 Well worth a read, click here now to check it out on the Flatland Australia website. 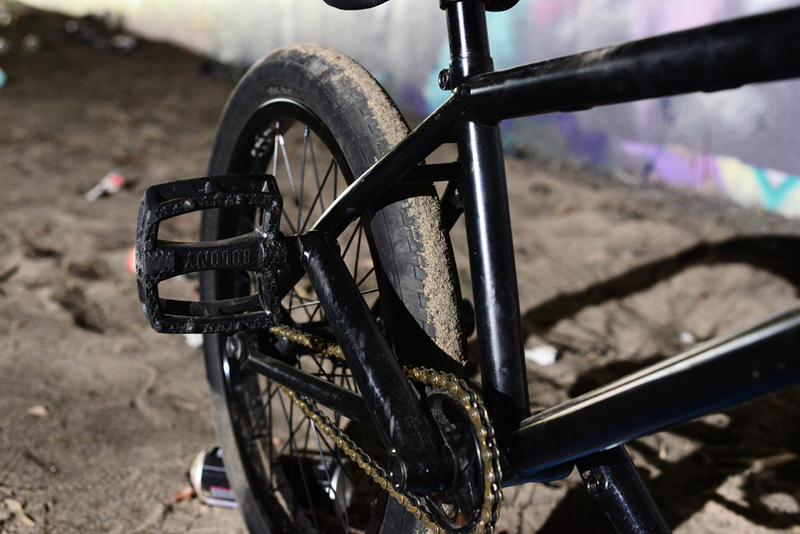 Our limited edition Prody Frames are available now worldwide… click here to read more about them. We hooked up Vital BMX with 3 riding shots of our UK flow rider Ryan Winterbotham which we shot when he was in the USA recently. You can check all 3 photos right here and run them on your computer or phone’s background. I’ve been doing a lot of recon tours and RV trips and see so much talent with in the Bmxers so Iv’e teamed up with the Monster Army program to find theses kids and let them tell their story and see what goals they have on the bike. I think it’s really cool to let them tell their story so it’s not always just about the big tricks. Fat Tony shot this rather large roast from Nathan that we just had to share! 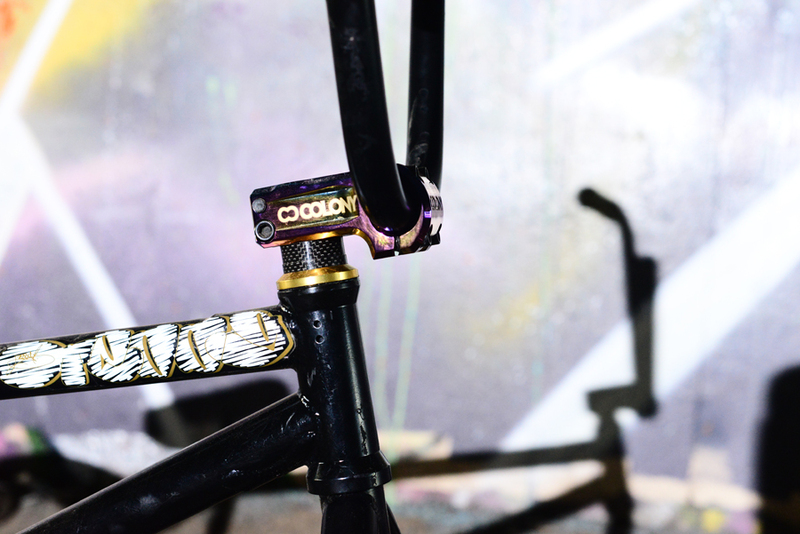 Vital just posted an in-depth bike check of our UK based team rider Ryan Winterbotham. 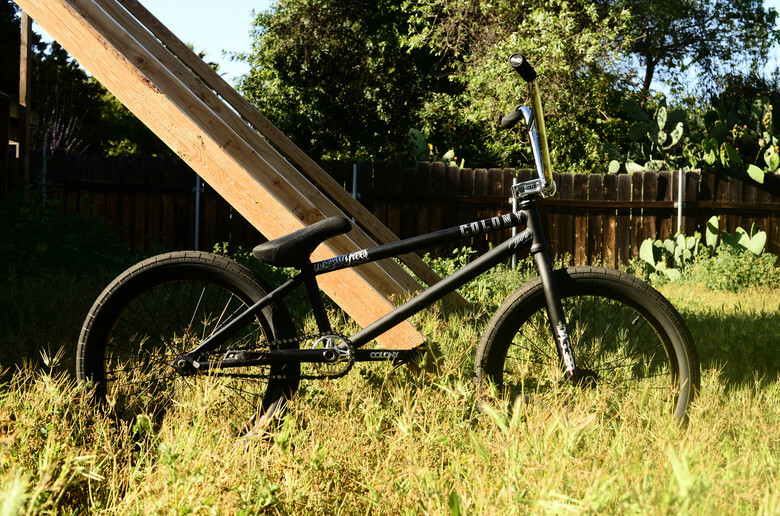 You can view the entire bike check here and be on the look out for more from Ryan and Vital in the near future. I only have positive things to say about the 2014 ACT jam that went down earlier this year and this 13 minute video gives you a good feel for it all. Thanks to Backbone and everyone that had a hand it making this all work. We are getting behind the contest going down at Rampfest in Melbourne later this month. Be sure to make the session as it’s guaranteed to be a good day. 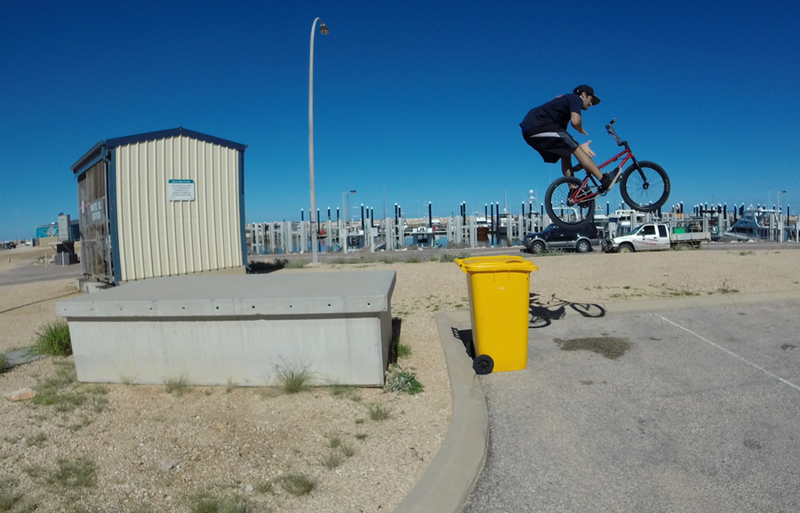 David shot over an update from West Aus, he has been going in hard of late riding as much as possible since his surgery. 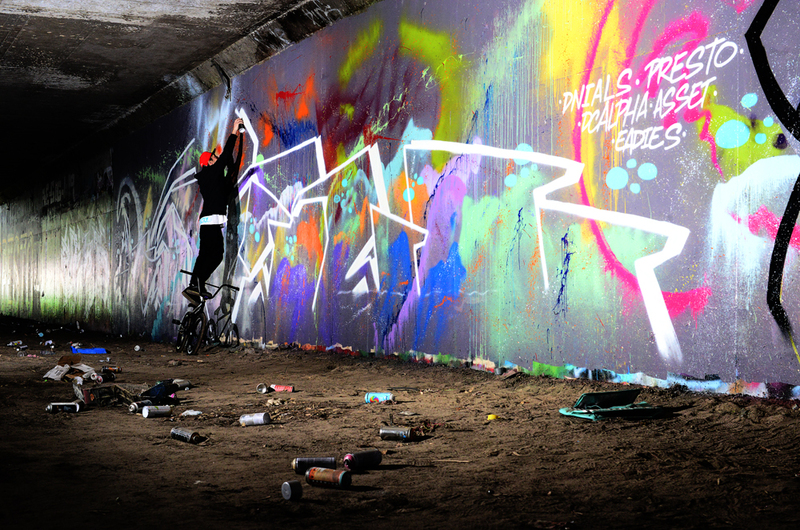 He will be moving to Melbourne next week as well so keep an eye out for him blasting a quarter near you. Thanks to Shaun and Chris for the photos.